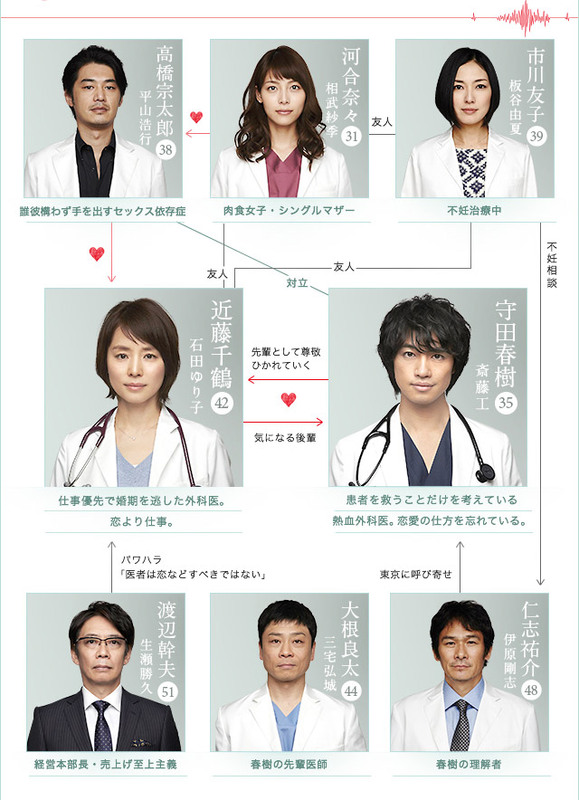 Doctors�f Affairs is a riveting medical love drama that depicts a group of doctors and top management executives at a university hospital in Tokyo dealing with ups and downs of life, both in and out of the hospital. シシド・カフカ「Don’t be love feat.斉藤和義」MV／Short Ver. It's been a long, long time since I last saw a more potent homage to the brilliant, life-saving competence of medical professionals. This one has a minor soap-opera-ish feel to it - some contrivance in the various characters' circumstances and in implausible parallels between them - but along with the sappy romance there is a **lot** of realistic O.R. action, and a stunning focus on professional competency throughout. The theme, which plays as kind of a minor key throughout the series, is about the conflict of career vs. romance and the role of integrity in both - with a stunning exposition of their central role in life, and a nice resolution. The hero, Morita-sensei, not only lives and breathes professinoal integrity, he inspires the people around him - even one doctor who had allowed himself to slide into incompetence - to lift themselves to a greater level of excellence, against constant pressure to cut corners. The villain is a stock "CEO who cares more about profits than patients," but on balance a minor negative. Even he harbors a mitigating secret - though his sudden transformation is a little implausible. Bottom line: An uplifting and inspiring look inside the lives of medical professionals. The central romance is not only about mutual admiration of talent and integrity, it's **explicitly stated** as such. That is as rare as it is awe-inspiring. Just an excellent, inspiring show and time well spent. An excellent - if somewhat soap-opera-ish - drama about medical professionals. The theme is a powerful meditation on integrity and excellence in work, with a focus on the conflict between professional life and romance, with multiple plot points hinging on moral choices. Uplifting and memorable, which means time well spent. 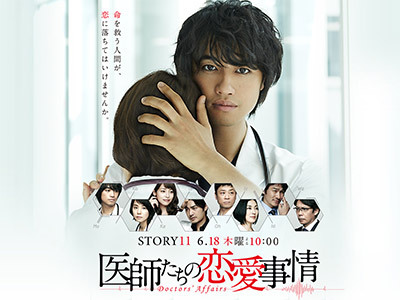 Currently available on Crunchyroll under the title "Doctors' Affairs."